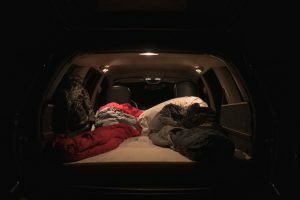 As part of a larger program that hopes to get homeless families into housing, the City of San Jose, Calif., has established a safe parking area for those living in their vehicles to spend the night. Up to 17 families living in vehicles will be allowed to park in the lot of a community center from 7 p.m. to 7 a.m., with access to the building’s restrooms and showers. A local nonprofit will be responsible for security and trash removal, and will simultaneously offer job search help and other services. The pilot program is set to run through June, after which the city will consider implementing it permanently, perhaps growing the program to additional lots. While some churches and other nonprofits allow homeless families to park and sleep overnight, this is the first city-sanctioned program in San Jose. Read about it here.